Translation of a Dutch article, published in the April 2014 issue of ‘Rozenbulletin’, the periodical of the Dutch Rose Society. Hybrid Perpetuals are closely related to the Bourbon Roses, but they descend from crossings between Chinese Roses and Portland Roses. Until the end of the 19th Century they were the most popular garden roses. They usually have very large flowers and were mostly grown to be used as cut flowers, or for price winnings at exhibitions. Thousands of Hybrid Perpetuals where introduced, of which nowadays less than 600 remain. The first modern roses were the Hybrid Teas. The Hybrid Teas are the result of crossings between the hardy and strong Hybrid Perpetuals and the delicate, almost continuously flowering Teas. The first Hybrid Teas were pollinated accidents by bees or wind. From about 1880 breeders in England, France and Germany created new Hybrid Teas by deliberate cross-pollination. The results were spectacular better than everything that had appeared before and the future of the Hybrid Tea was assured. They combined the elegancy of the Tea with the strong constitution of the hardy Hybrid Perpetuals. These Hybrid Teas were hardy in large parts of Europe and flowered repeatedly. And so arose a group of more or less repeat flowering, large-flowered roses, important for both exhibitions as gardens. [Source: RHS Encyclopedia of Roses, Charles & Bridget Quest-Ritson]. Charles Quest-Ritson told how breeders developed the more modern large-flowered roses, which in rose history came to be known as Hybrid Teas. These are the roses that people almost always mention when asked if they like roses. One of the most significant developments in the history of the Rose was the emergence of the Hybrid Teas as the world’s most popular garden plant. They — and their descendants the Floribunda roses — have created more colour and pleasure in our private gardens and public parks than any other flower. When rose-lovers search back for the origins of Hybrid Teas, they trace them to a bee-pollinated accident in a nursery at Lyon, or to a farmer’s glasshouse in Wiltshire. They discover that the excellence of the early Hybrid Teas was recognised and built upon by later breeders until, by perhaps 1914, they were the most sought-after, the most widely sold and the most numerous among rose introductions. 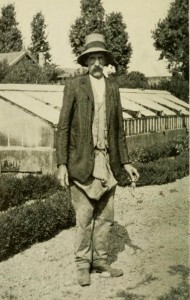 The temptation has always been to identify and canonise the person who was responsible for developing the race of Hybrid Teas, and so we have clahns made for Jean-Baptiste Guillot, for Henry Bennett, for Joseph Pernet-Ducher and for Peter Lambert; all have, at some time, been hailed as the true originator of this horticultural phenomenon that brought with it a change in how our ancestors designed and planted their gardens and in how cut-flower growers ran their businesses. Nationalism has had a part to play in this tendency to claim that all the praise and recognition should be heaped upon a single individual — naturally the French support the claims of Guillot and the English champion Bennett — but it is arguable that neither of them really understood the implications for the future of what they were doing. There is a better case for applauding the work of Pernet-Ducher, while Peter Lambert was an even greater breeder, a man of enormous intelligence and invention. But in terms of deciding who among the great rose-breeders actually set the Hybrid Tea on its path to immortality, I think we have to hand the palm to the Dickson family in Ireland. They bred almost no other types of rose, but issued new Hybrid Teas every year throughout the period leading up to World War 1, and of course continued thereafter, right up until today. They were not inventive — one could even argue that they were rather limited in their understanding of the importance of bringing new genetic material into their breeding houses — but they operated on such a scale and with such determination that by 1914 they had created huge new markets for roses as garden plants and were the dominant breeders and suppliers of Hybrid Tea roses in Europe. Why are the Hybrid Tea important? Not everyone appreciates the early Hybrid Teas. They are neglected beauties — the Cinderellas of the rose world. The supporters of old roses do not consider any Hybrid Teas to be worthy of attention — they lack the beautiful flower-shapes and shrubby growth of the Gallicas, Damasks and other groups of old roses. But lovers of modern roses know not only how much better are Hybrid Teas than their parents, but also how much they have developed and improved over the last 100 years later. 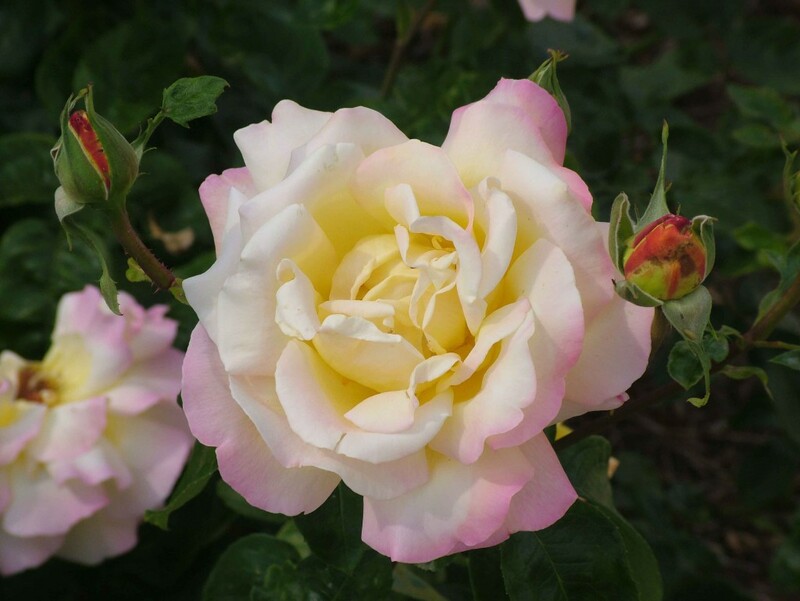 The Hybrid Teas are a major part of our heritage as rose-lovers. They transformed the popularity of roses as garden plants and cut flowers. They were the catalyst for the great expansion and success of most of the national rose societies of western nations in the early years of the 20th century. Their part in the cultural history of our countries is enormous. So we need to know how the Hybrid Perpetuals were succeeded by Hybrid Teas. Some lovers of older roses attribute their commercial success to mere fashion, but the true explanation is that they represented an enormous improvement on what preceded them. The German National Rosarium at Sangerhausen has done more than any other institution to conserve Hybrid Tea roses from the beginning of the 20th century, and this is all the more remarkable when one remembers the history of Germany during the last 100 years — two world wars (both lost), social revolution and monetary disorder in the 1920s, invasion in 1945, followed by Soviet occupation for 45 years. So those of us who are not German need to praise your achievements here at Sangerhausen since your foundation by the VDR in 1903. 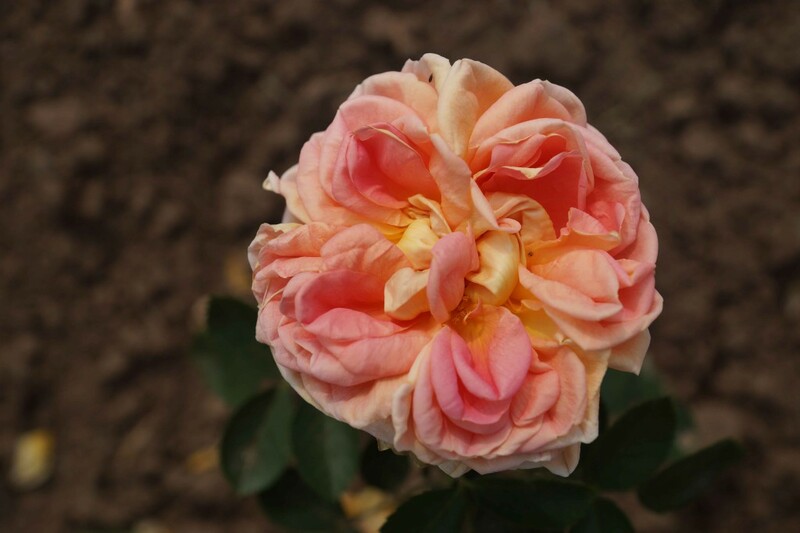 The history of rose breeding over the last two centuries is the history of constant improvement. It may not seem like that to us now, but it certainly did at the time. It is a big mistake to let modern taste — modern fashions — get in the way of historical truth. The roses that breeders are giving us today are better than those that pleased our parents, our grandparents, and our more distant ancestors. What gets in the way of this self-evident truth is fashion, snobbery and muddled thinking. Hybrid Perpetuals are wonderful roses — so large, so beautiful and so complex in their shape. And most of them are strongly scented. We all grow them, and we know their faults, too. They are too vigorous, and they are not reliably remontant. Indeed there are some that seem never to flower more than once a year. But they are hardy — they resist the cold winters of continental Europe, where many of them were bred. Remember that winter temperatures in Lyon dip as low as -10°C in January, and sometimes go down to -20°C. Tea roses are even more beautiful than Hybrid Perpetuals, but their commercial weakness is their inability to resist the cold of winter in the prosperous, industrial areas of continental Europe. They were roses for rich men who grew them in glasshouses. They were symbols of wealth, like orchids. Even on the Riviera, where roses were grown for the cut flower trade, and delivered to Paris in 18 hours — Berlin in 2 days — Moscow in 3 ½ days — even on the Riviera, Tea roses were grown in glasshouses. Not always, but certainly by professional growers. But Tea roses had two great qualities: first, they flowered continuously — even in London, ‘Général Schablikine’ flowers for 12 months of the year; and second, Tea roses had a delicacy of shape, of colour, of scent and of form that was absent from the Hybrid Perpetuals. Was ‘La France’ the first Hybrid Tea? There are those in the world of old roses who believe that ‘La France’ [Guillot, 1867] was the first Hybrid Tea, bred from ‘Mme Victor Verdier’ x ‘Mme Bravy’. They forget that ‘Victor Verdier’ [Lacharme, 1859] was bred from ‘Jules Margottin’ x ‘Safrano’ and that ‘La France’ was an open-pollinated seedling of unknown provenance. No credit attaches to Jean-Baptiste Guillot for this discovery, or for introducing ‘Páquerette’ , the first Polyantha rose; both were foundlings and, although Guillot was undoubtedly a man of intelligence, he was not an innovator. His introduction of ‘La France’, and its recognition as the first of a new race of Hybrid Teas, did not inspire him to create further such hybrids, and he continued right up until his death in 1893, to breed open-pollinated seedlings of Teas and Hybrid Perpetuals. They include a number of excellent roses that are still widely grown — including ‘Catherine Mermet’ , ‘Étoile de Lyon’  and ‘Gloire Lyonnaise’  — but there was no method behind his rose-breeding apart from gathering rose-hips and selecting the best of their progeny. 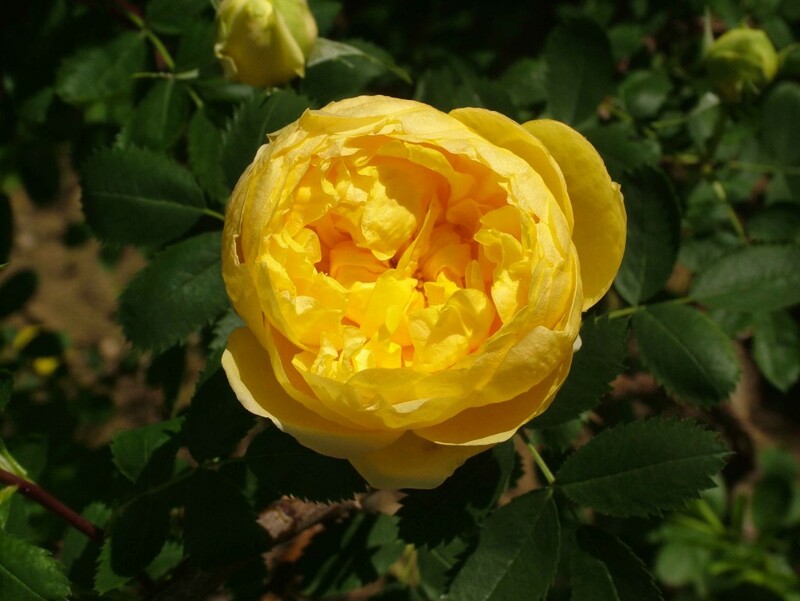 The spark that set off the development of Hybrid Teas was the desire to breed a yellow Hybrid Perpetual. That was what motivated both Henry Bennett in England and Joseph Pernet-Ducher in France. Bennett was a cattle farmer. He knew that selective breeding could improve upon God’s handiwork for the benefit of mankind. He saw it in food crops and stock-breeding, and assumed that the same principles of hybridisation and selection applied to roses. In the late 1860s, he started to cross the roses in his garden, taking the pollen of one to fertilise the stigma of another. The results were a great disappointment: few roses set seed, and the few hips he harvested produced nothing that appeared in any way an improvement on what had gone before. One thing that Bennett did however deduce from his visits to Lyon was that the English climate was not hot enough for garden roses to set hips. In the long summer heat of southern France, nurserymen could pollinate their roses when they flowered outside at the beginning of May and be certain of gathering their hips by early autumn. Bennett concluded that answer to English weather was to grow his roses under glass, where the heat of the sun would bring on early flowering and help the hips to mature their seeds. He would breed his yellow Hybrid Perpetuals by crossing pale-coloured cultivars with yellow Tea roses such as ‘Safrano’ [Beauregard, 1839]. The outcome of any planned programme of plant breeding has often proved very different to that which the breeder had in mind at the beginning. Bennett’s experiments with controlled pollination were a great success. None of his seedlings produced yellow flowers, but there was no doubting their elegance, vigour, health, hardiness and freedom of flower. He exhibited ten new roses at the National Rose Show in 1879 and called them ‘Pedigree Hybrids of the Tea Rose’. They created a sensation and Bennett shot to fame, though a foreman at Paul & Son (Cheshunt) observed that the Bennett roses were “too full for an unfavourable season, and are not opening well”. The Société lyonnaise d’horticulture was rather more impressed and promptly called Bennett’s pedigree roses “Hybrid Teas”; the description has attached itself to the class ever since. 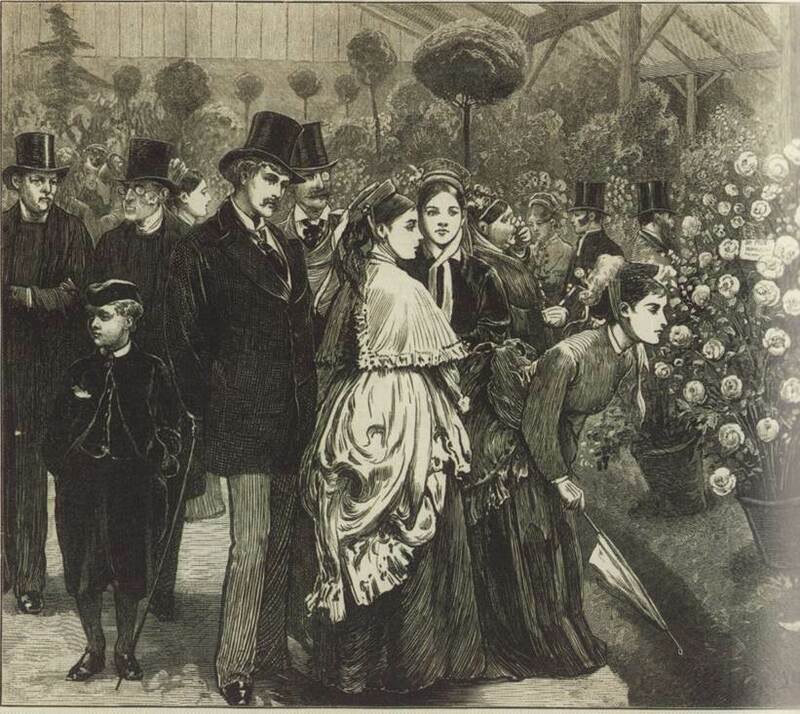 A succession of best-sellers followed: the sumptuous ‘Lady Mary Fitzwilliam’ and the opulent ‘Heinrich Schultheis’ in 1882; the excellent garden rose ‘Grace Darling’ in 1884; ‘Her Majesty’ in 1885, a rose so large that it was guaranteed to win first prize at any rose show for years to come; the elegant ‘Viscountess Folkestone’ (named for the wife of a Wiltshire landowner) came out in 1886, and Bennett’s masterpiece ‘Mrs John Laing’ in 1887. Most of these were Hybrid Perpetuals: Bennett did not realise the potential of Hybrid Teas. He was not a young man, and he was more interested in money than fame — he sold the entire stock of several of his new roses to American nurserymen for the cut-flower trade in winter. Joseph Pernet-Ducher shared Bennett’s desire to introduce a truly yellow rose and chose to work with the brilliant yellow of the double-flowered form of Rosa foetida known as ‘Persiana’ instead of the softer yellows of Tea roses. He is widely revered for his persistence with this notoriously infertile cultivar and for the success that came his way with the introduction of ‘Soleil d’Or’ in 1900. This was, of course, a cross with a Hybrid Perpetual, though Pernet-Ducher was able later to breed the yellows and oranges of his “Pernetiana” roses into his Hybrid Teas. It should however be said that ‘Soleil d’Or’ was Pernet-Ducher’s only real innovation. 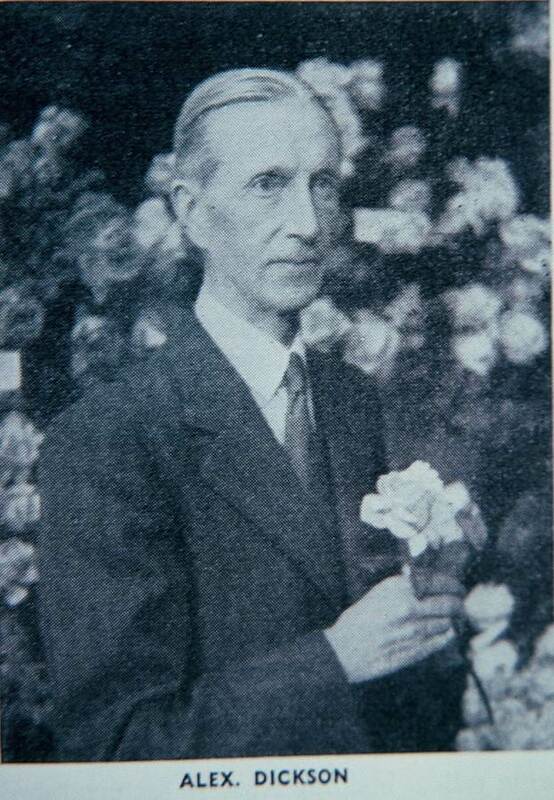 He certainly practised manual pollination, but he limited his work to developing the Hybrid Teas. At a time when others were experimenting with Rugosas, Multifloras and Wichurana Ramblers, Pernet-Ducher remained incurious about the genetic and commercial possibilities that these types offered. ‘Soleil d’Or’ brought him fame, but it could be said to have been the result of dogged persistence rather than innovatory genius. He began trying to cross use the pollen of ‘Persiana’ in 1883. Not until 1887 did he obtain a few seeds, and the first of the seedlings flowered in 1891. He never bred from it. Only after 1893 when he discovered the remontant seedling that was to be named ‘Soleil d’Or’ did he realize the extent to which his persistence had been rewarded. 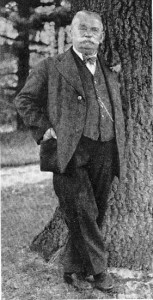 Two points are worth mentioning here: first, that there is no proof that ‘Soleil d’Or’ was a selfed seedling, though it is fair to assume that at least one of its parents was Pernet-Ducher’s original plant; and second, it should be said that ‘Gottfried Keller’, one of Dr. Hermann crosses with R. foetida, was introduced in 1894, six years ahead of ‘Soleil d’Or’. But nothing should detract from Pernet-Ducher’s real achievements in developing the race of Hybrid Teas, and it is here that his real vision and achievement lie, for he saw them as a way to create new markets. His first Hybrid Teas were ‘Mlle Germaine Caillot’  and ‘Comte Henri Rignon’ , both bred by crossing ‘Baronne Adolphe de Rothschild’ with pollen from a yellow-ish Tea rose and both now extinct. But Pernet-Ducher’s subsequent introductions included some of the most famous names in the history of roses; ‘Mme Caroline Testout’  and ‘Mme Abel Chatenay’  were followed, after the introduction of ‘Soleil d’Or’, by ‘Lyon Rose’ , ‘Chateau de Clos Vougeot’  and ‘Mme Edouard Herriot’ . The foundation of his breeding line was Bennett’s ‘Lady Mary Fitzwilliam’, a parent of ‘Mme Caroline Testout’, and it was to Bennett that Pernet-Ducher himself gave credit for the principle of controlled pollination and for suggesting how he might work towards bringing yellow tints into mainline rose-breeding. 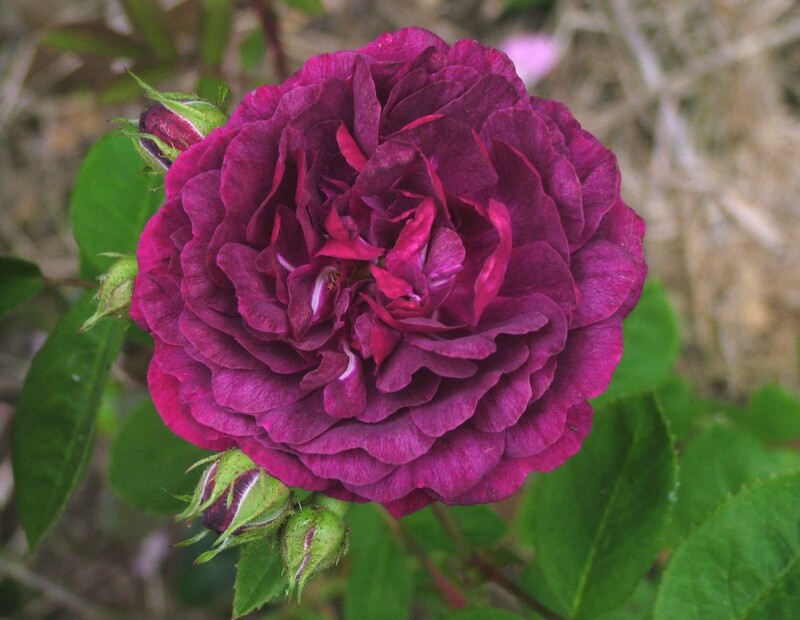 In his early years, Peter Lambert was an innovative and adventurous introducer of roses. Breeders like Dickson and Pernet-Ducher came from countries with an established tradition of rose-breeding, but Lambert was Germany’s first major rose-breeder, which meant that his commercial situation was slightly different. He could put the special requirements of his home market at the top of his list of priorities. The German climate is harsher than that of France or England, and hardiness became his top priority. ‘Kaiserin Auguste Viktoria’ was his first rose — the first that he bred and introduced — and it quickly became famous all through Europe and in much of North America. His later Hybrid Teas, including ‘Gustav Grünerwald’  and ‘Grossherzog Friedrich von Baden’ , were less impressive though one must make an exception for ‘Frau Karl Druschki’ which is often described as a Hybrid Perpetual but whose ancestry sets it firmly among the Hybrid Teas. But Lambert explored many possibilities. He was particularly interested in developing Polyanthas — ‘Léonie Lamesch’  is one of the best garden roses of all time — and his own Lambertianas which, like the Pemberton Hybrid Musks, have Noisette ancestry. What these share with the Hybrid Teas is that they were hardy garden roses, intended to be grown outside and to give long periods of colour. In this they differed very greatly from Hybrid Perpetuals and Tea roses, which were mainly grown for cutting. There is, however, a problem when one looks at the list of roses introduced by Lambert — which is that quite a lot of them were actually raised by others, especially by Geschwind. And Erich Unmuth, the great champion of Geschwind, often reveals new evidence that cultivars which we thought were raised by Lambert were actually Geschwind’s. Everyone knows about ‘Zigeunerknabe’ and ‘Goethe’, but the latest addition to Erich’s list of roses attributed to Lambert that were actually bred by Geschwind is the white rugosa rose ‘Schneezwerg’, a very good rose that has made an important contribution to the development of the super-hardy Explorer roses. And, in any case, by giving us ‘Kaiserin Auguste Viktoria’ and ‘Frau Karl Druschki’, Lambert made an immensely important contribution to our ancestors’ gardens 100 years ago and, through these roses many descendants, to our gardens today. But it is worth noting that Lambert’s life was completely altered by the war of 1914-18. His nursery was much diminished and the roses he introduced in the last 20 years of his life were almost all bred from older roses that he had already introduced. He became a line-breeder instead of an adventurous introducer of new genetic material. But there is nothing surprising about this. Old men run out of new ideas, they resist change, they are less creative than they were when they set out as young adults. Henry Bennett’s natural heir among the English was Alexander Dickson from Newtownards in Northern Ireland. This part of Ireland was part of the United Kingdom, just as Silesia was part of Germany except that Northern Ireland is still British. One of the problems of studying their roses is that the Dicksons did not keep accurate records of their roses’ parentages. Their first introductions were promoted as “pedigree roses”, just as Bennett’s had been, but those pedigrees were either undisclosed or inaccurate. ‘Mrs W.J. Grant’ for example, was said to be a cross between ‘Lady Mary Fitzwilliam’ and ‘La France’ but this is not possible because ‘La France’ is sterile, both as a pollen parent and as a seed-bearer. Nevertheless, ‘Mrs W.J. Grant’ became an important parent, its progeny including ‘Liberty’  and ‘Pharisaer’ [Hinner, 1901] . Although he bred other types of roses, notably Hybrid Perpetuals like ‘Ards Rover’  and ‘Ulster’  and Teas like ‘Harry Kirk’  and ‘Mrs Foley-Hobbs’ , Dickson made his name as a breeder of Hybrid Teas and introduced more than 60 cultivars between 1895 and 1914. They were bred as garden plants — plants for bedding, for mixed plantings and for cutting for the house — and principally for the home market, for rose-lovers in Britain. Many of his cultivars are still grown — some of you will recognise such names as ‘Mrs W.J. Grant’  and its seedling ‘Killarney’ . England has a much milder climate than Germany and it is also much wetter (except perhaps than Bremen) and this is especially true of Northern Ireland. The fuller style of Hybrid Tea that suited Lyon was not a success in Britain —we needed fewer petals on our garden roses, so that the flowers would not take too long to open, and so that they would not fill up with rain and become rotten. Alexander Dickson bred Hybrid Teas with fewer petals than did the French breeders, but he compensated by striving for roses with long petals. Many of the early Hybrid Teas — think of ‘Lady Mary Fitzwilliam’ —had petals that were broad but short; Dickson’s introductions had long petals and it was he who developed what came to be considered the industry standard for Hybrid Teas — long petals, elegantly held in a slim, conical bud. Amateurs who grew roses for exhibition disapproved: Andrew Foster-Melliar wrote in 1905 that the petals of ‘Killarney’ , a seedling of ‘Mrs W.J. Grant’, were “long and stout, but there are not enough of them, the centre being badly filled”. But Dickson was growing plants for the garden, and lightly petalled roses were perfect for the British climate. He even introduced a number of single Hybrid Teas like ‘Irish Elegance’ which made up for the brevity of their flowering — single roses never last as long as double ones — by bearing them in great quantity, so that these single Hybrid Teas prefigured the first Floribundas of the 1920s and prepared the public’s taste for them. But the best Dickson roses were elegant, attractively coloured and sweet-scented. ‘Killarney’ was followed by ‘Liberty’  which was believed in France to be a variety of American raising, such were the “grands coups de tam-tam pour cette nouveauté dont les mérites seraient exceptionels, comme du reste tout ce qui nous vient de l’Amérique”, according to a correspondent of Le Journal des Roses. 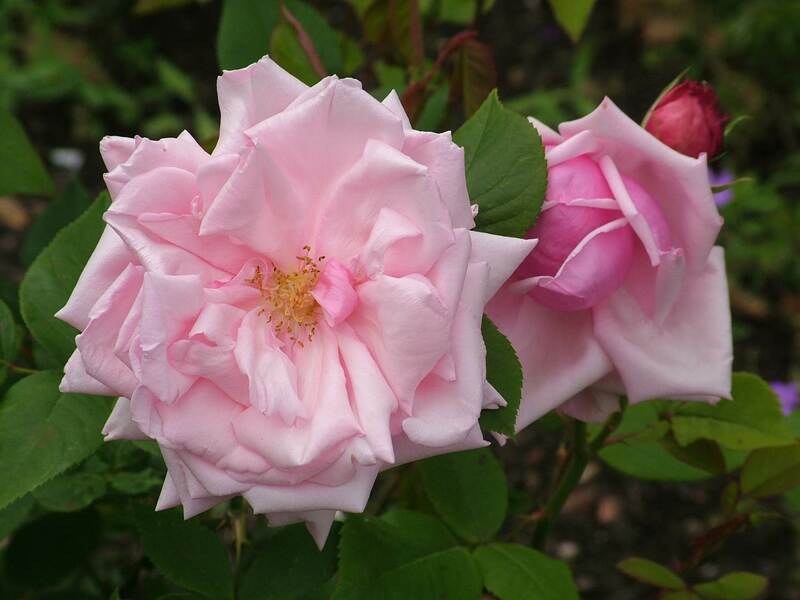 And the last to be introduced before World War I was the pink-and-yellow ‘Mrs Wemyss Quin’ , which was still grown in Queen Mary’s Rose Garden in Regent’s Park, London, forty years later — ten years after the release of ‘Mme A. Meilland ‘ (syn. ‘Peace’, ‘Gloria Dei’). The early Hybrid Teas tended to take after their Hybrid Perpetual ancestors rather more than the Tea roses but, with successive back-breeding, they came to resemble more closely the delicate, elegant Teas. 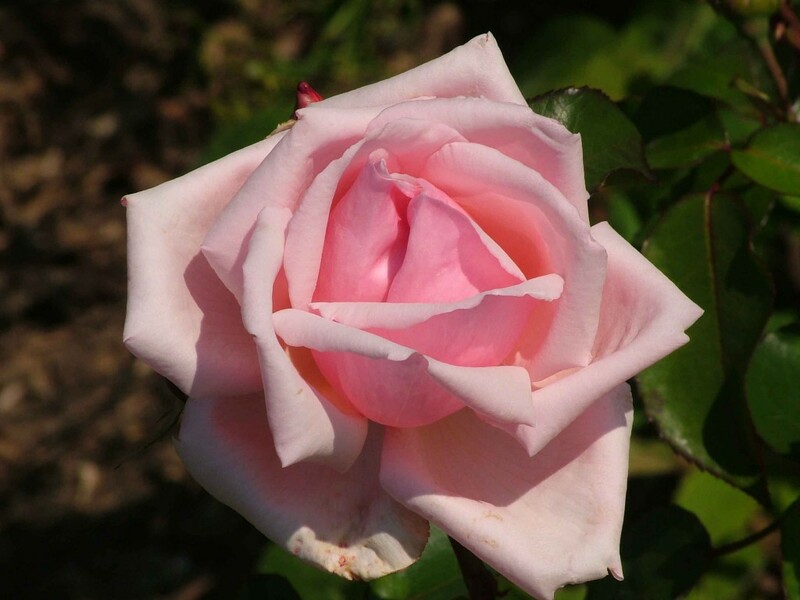 Dickson brought us the classic, elegant shape that characterises the Hybrid Teas and gives them their high centre and long petals: it was the result of intensive crossing and back-crossing with a specific ideal of beauty in mind. 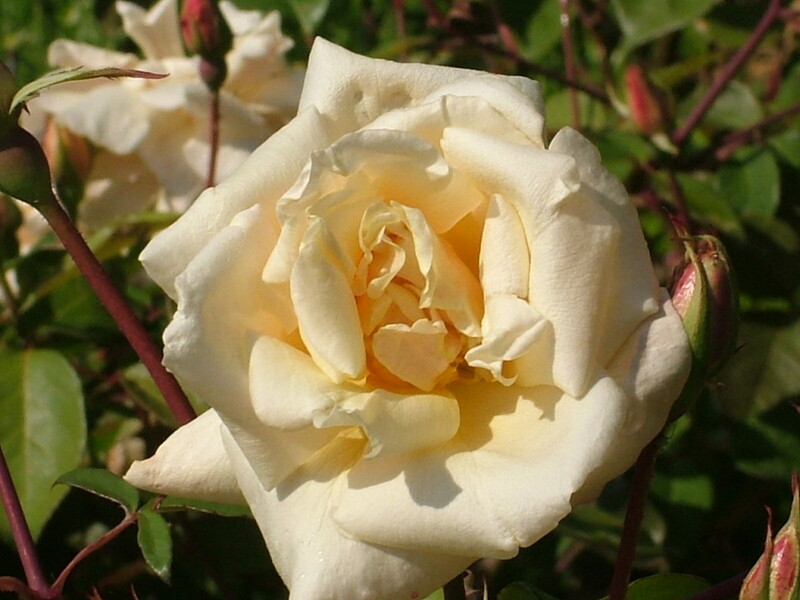 The new Hybrid Teas created a particular problem for the English, who had a passion for showing roses competitively. As early as 1879, a correspondent of the magazine Gardener’s Chronicle asked whether Bennett’s ‘Duchess of Connaught’ should be placed with the Teas or the Hybrid Perpetuals in a box of roses — the English show their roses in specially made boxes, lined with moss and intended to accommodate 6, 12 or 24 blooms. George Paul of Cheshunt claimed that they were the first to use ‘Hybrid Tea’ to describe a class of roses in their catalogue in 1878. They put their own `Cheshunt Hybrid’ there, and added Bennett’s roses after their appearance in 1879. The National Rose Society responded by excluding Theshunt Hybrid’ from being exhibited as a Tea. At a show in 1887, a display of Hybrid Perpetuals was disqualified because it contained a bloom of ‘Lady Mary Fitzwilliam’. A few days later, at a show in Manchester, the same cultivar won a silver medal for the best Hybrid Perpetual. It was many years before the Rose Establishment in England agreed to accept the Hybrid Teas as a distinct class of their own. Keen exhibitors like the Rev. Andrew Foster- Melliar could write in The Book of the Rose in as late as 1904 that “the Hybrid Perpetual is the Rose of England… it is undoubtedly better grown in the British Isles than anywhere else.” — this from a man who had never travelled to Germany, let alone the United States. And Henry Bennett himself would have been surprised to learn — he died in 1890 — that that the Hybrid Teas would come to dominate world markets by 1914. Bennett was already well into middle age when he introduced his first “Pedigree Hybrids of the Tea rose”. It was the younger breeders in the 1880s who saw the potential of the Hybrid Teas and developed them further. They were confident enough to take risks, and believed that they could create new markets by offering a new product. 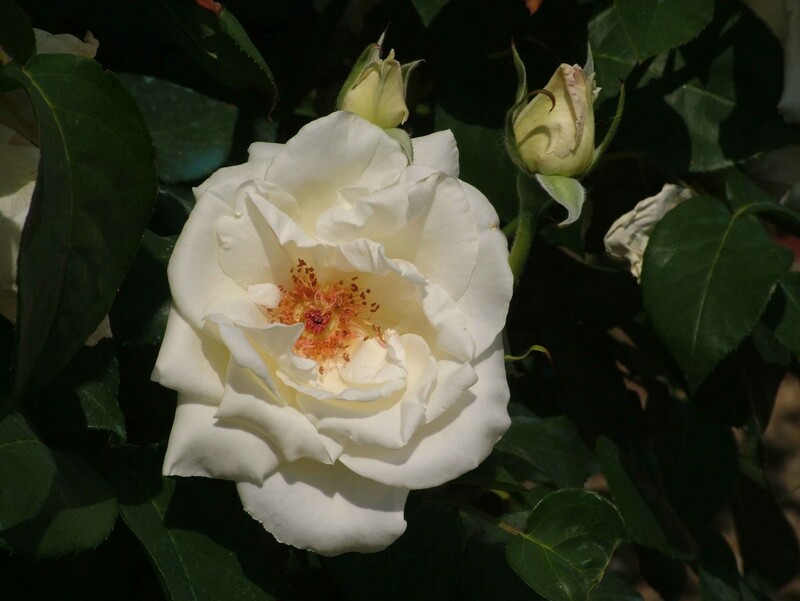 The older breeders, who had spent most of the working lives breeding Hybrid Perpetuals or Tea roses, were not so influenced by the new Hybrid Teas. They continued breeding the type of roses for which they had already established a market. So we find that Louis Lévéque introduced 44 Hybrid Perpetuals in the 1880s and 1890s, and 4 Tea roses — but never a Hybrid Tea. The same is true of Jean Liabaud (16 Hybrid Perpetuals) and Eugène Verdier (26 Hybrid Perpetuals) while Soupert & Notting concentrated on Tea roses and Gilbert Nabonnand produced no fewer than 47 Tea roses and Noisette roses in the same twenty-year period, largely to satisfy and flatter his rich international patrons who spent their winters on the Riviera. Andrew Foster-Melliar was unconvinced: “at present” he wrote in 1904 “I must hold my opinion that the Rose is not so well adapted as some other plants for garden decoration.” In fact, the growth in popularity can be measured. Membership of the National Rose Society of Great Britain hovered for many years around 500, until it suddenly took off in about 1900. In 1903 membership topped 1.000; by 1908 it was more than three times this figure and by 1913 had grown to 6.000. 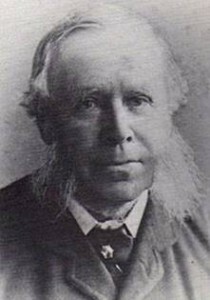 Edward Mawley, the Society’s Secretary for much of this period, attributed this success to the publication of such useful handbooks as The Official Catalogue of Roses in 1902, The Handbook of Pruning Roses in 1907 and The Enemies of the Rose a year later. This is still the conventional wisdom, but in fact these publications were evidence of the growth of interest in roses rather than a cause of it: it is clear from the contemporary horticultural press that by far more important was the emergence of new hardy perpetual flowering garden roses in a wide choice of colours, the Hybrid Teas. 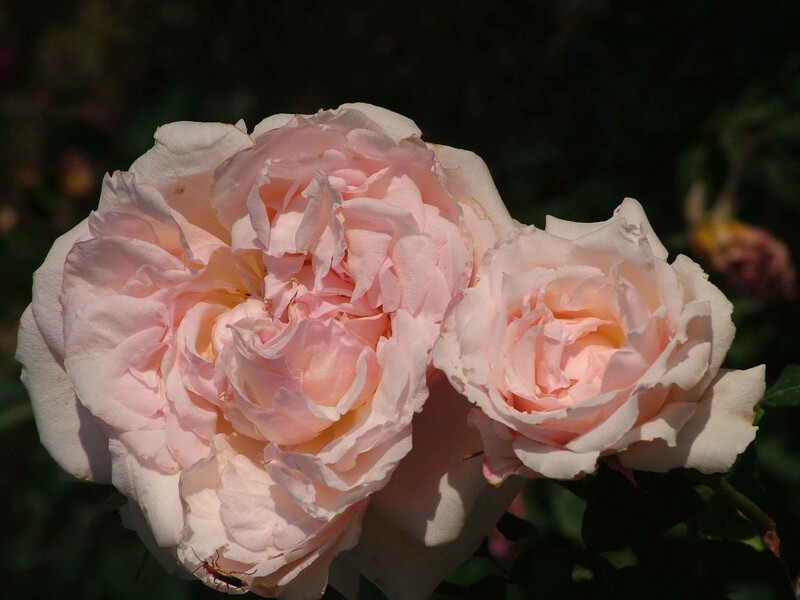 The success of the Hybrid Teas was part of a move away from the cultivation of roses principally for exhibition, where the size of individual flowers counted for more than their number, scent, carriage or colour. The new rambler roses were part of the same trend. They shared with the new Hybrid Teas the epithet “decorative”: they were garden roses, to be grown in beds and borders, enjoyed as shrubs and picked for their flowers. They were cheaper than annual bedding with geraniums and other colourful summer-flowering plants. 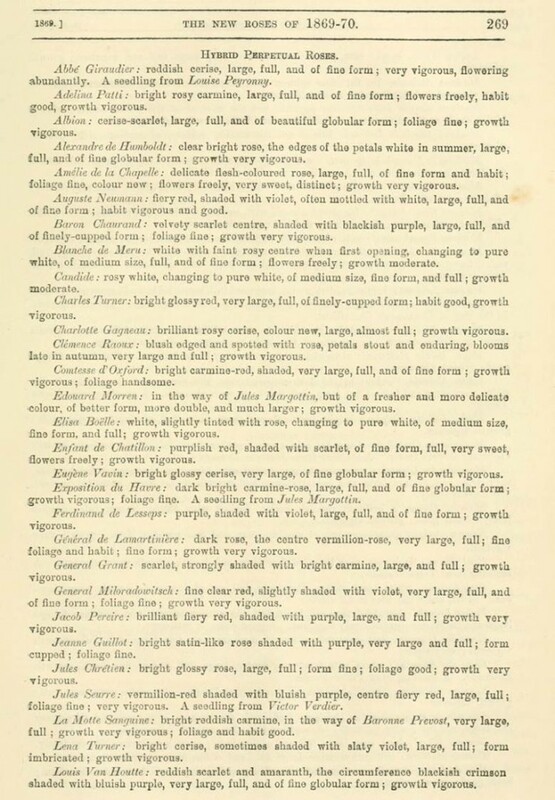 And it was Joseph Pernet-Ducher and Alexander Dickson who foresaw this and dedicated their working lives to the development of Hybrid Teas as bushes for the garden. Let us give praise for their foresight and enjoy the fruits of their endeavours.